Apple is reinventing the way we think about accessing application windows, organization of those windows, and the way we access running applications. 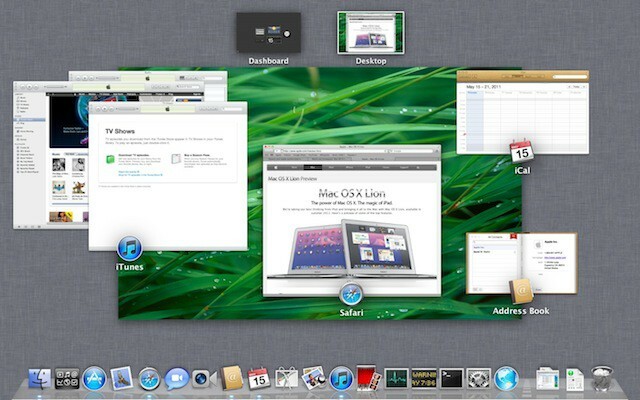 A new feature called Mission Control in Mac OS X 10.7 lion makes it all easy. Mission Control is the next step in the evolution of Expose and Spaces – a combination of the two with a little bit of Apple ingenuity added on top. As a result it will make it easier for you to view the windows of all running applications, jump between them, and get to the specific application you need very easily. You’ll be able to use Mission Control to switch between applications with individual windows or applications that are running in full screen mode – you’ll see thumbnails of the latter. One example of a full screen application is iPhoto 11. Upon accessing Mission Control you’ll be presented with a screen that contains the thumbnails of the Dashboard, Desktop, and applications running in full screen at the top. You’ll see the running applications and windows for them gathered in the middle of the Mission Control screen. If you highlight a particular application that applications windows are all displayed for easy viewing and selection. 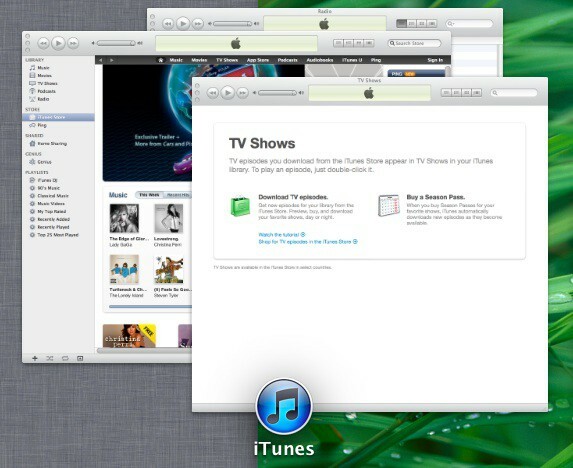 iTunes along with all of the applications open windows in Mission Control. Spaces is integrated into Mission Control, but only appears after you’ve activated Spaces in the System Preferences. Once you’ve activated it the extra Spaces desktops appear as thumbnails at the top of the Mission Control screen as shown below. 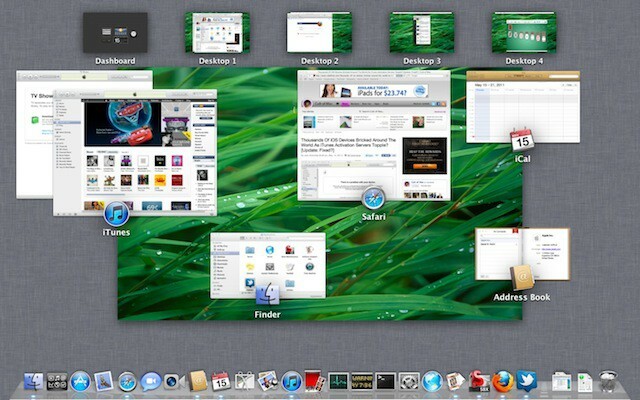 Mission Control and Spaces virtual desktops appear as thumbnails. You can switch between these virtual desktops with one mouse click and you can drag applications around them. a powerful and handy new feature that provides you with a comprehensive look at what’s running on your Mac. It gives you a bird’s-eye view of everything — including Dashboard and full-screen apps — all in one place. With a simple swipe, your desktop zooms out to Mission Control. There you can see your open windows grouped by app, thumbnails of your full-screen apps, and Dashboard, arranged in a unified view. And you can get to anything you see in Mission Control with just one click. Making you the master of all you survey. Apple’s description sums it up nicely, but I can do better I think. I call it genius and I cannot wait to integrate it into my every day Mac workflow.